Regular aerobic exercise such as walking, cycling or climbing stairs may improve thinking skills not only in older people but in young people as well, according to a study published in the January 30, 2019, online issue of Neurology®, the medical journal of the American Academy of Neurology. ...continue reading "Aerobic Exercise, Thinking Skills, and the Brain"
Can Physical Activity Help Treat Dementia? New research shows that being physically active not only reduces cognitive decline and improves neuropsychiatric symptoms in patients with dementia but may actually reduce Alzheimer's disease (AD) biomarkers, including amyloid and tau protein in the brain. Exercise could also benefit patients with types of dementia other than AD, another study suggests.Some of this promising new research on exercise was presented at the Alzheimer's Association International Conference (AAIC) 2015. Danish researchers had already presented cognition-related results of the multicenter ADEX study ...The intervention consisted of 1 hour of aerobic exercise three times a week for 16 weeks. The control group received usual care..... The analysis found that these [neuropsychiatric] symptoms improved in the 66 patients in the "high exercise"group... The NI is a 12-item questionnaire that rates, among other things, depression, apathy, agitation, hallucinations, irritability, weight loss, and sleep. "We saw that the control group got worse; there was a small decline in this group, which you would expect because this is progressive disease," said Steen Hasselbalch, MD, Danish Dementia Research Centre, Copenhagen, Denmark. "But the intervention group remained at the same level and even got a little better, so at end of the intervention there was a significant difference." The question arises of whether exercise could not just delay worsening of symptoms but actually change brain pathology.The answer, suggests other research, is yes. In a separate study presented at the AAIC 2015, researchers found decreased phosphorylated tau (P tau) in older, previously sedentary persons completing a 6-month regimen of moderate- to high-intensity aerobic exercise. The study enrolled 70 patients aged 55 to 89 years with prediabetes as well as amnestic mild cognitive impairment (MCI)....We think they are at high, high risk for developing dementia of the Alzheimer's type." These patients were randomly assigned to the aerobic exercise group or to the stretching group. Those in the aerobic group started slowly — 10 minutes of exercise a week — and gradually built the time and intensity up over 6 weeks to the point where they were exercising 45 minutes a day, 4 days a week, at 75% to 85% of their maximum heart rate...."This group had a choice of exercises: treadmill, stationary cycling, elliptical trainer, or preapproved group classes. 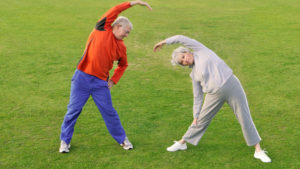 The stretching group, whose members could do balance exercises, gentle yoga, and other approved classes in addition to stretching, maintained a maximum heart rate of below 35%. All exercises were adapted to the needs and limitations of individual patients and were done at a local YMCA. The researchers looked at biomarkers in cerebrospinal fluid (CSF), including P tau protein and amyloid β 42....Most intervention trials don't show such changes in P tau. "But we saw it with exercise and no medications," said Dr. Baker. "Exercise was enough to move a biomarker that indicates the severity of the disease." It wasn't surprising, she added, that this was true only for older patients. "It may be that before age 70, you have a lot of compensatory mechanisms that help to maintain brain health, and after 70, those start breaking down." The study also showed that the aerobic activity increased blood flow to the brain...The researchers demonstrated that the increased blood flow was in regions characteristically affected by aging and AD (ie, memory and processing).Cognitive benefits were particularly noteworthy for executive function..."Our brain imaging results are just fantastic; they show some really nice increases in blood flow in the areas of brain that support executive function and areas of the brain that normally show decreased flow for people with MCI, so it's reversing the blood flow detriment in MCI." AD may not be the only dementia potentially treatable through exercise. Another study discussed at the meeting showed that this intervention may help those with vascular cognitive impairment (VCI). It's the first intervention trial to suggest that exercise can improve cognition in patients with confirmed VCI, said Teresa Liu- Ambrose, PhD, Canada Research Chair, University of British Columbia, Vancouver, Canada, who reported the results.The 6-month study included 71 patients aged 56 to 96 years with mild VCI of varying physical capacities. They were assigned to usual care that included a nutrition component or to an intervention of moderate-intensity walking, 3 times a week for an hour....In a subset of patients who had neuroimaging, there was "evidence of efficiency" in the brain of those who exercised, Dr Liu-Ambrose told Medscape Medical News. Both aerobic exercise and strength training lead to the production of free radicals, molecules that in concentrated amounts can cause tissue damage. Antioxidants sop up and neutralize free radicals. So, the thinking goes, taking antioxidant should lessen some of the damage and soreness after exercise and allow people to train harder.But recent experiments with endurance athletes have found that consuming large doses of vitamins C and E actually results in a slightly smaller training response. They began by recruiting 32 men and women who had at least some experience with weight training. They measured the volunteers’ muscular size and strength.Then they randomly divided them into two groups. Half were asked to start taking two antioxidant vitamin pills each day, one before and one after exercising. The total daily dosage amounted to 1,000 milligrams of Vitamin C and 235 milligrams of Vitamin E, which “is high but not higher than athletes commonly use,” ...The other group did not take any supplements. All of the volunteers then began the same resistance-training regimen, consisting of four fairly rigorous training sessions each week. As the exercises grew easy, weights were increased, with the aim of pumping up the size and strength of the volunteers’ muscles.The program lasted 10 weeks. In general, people’s muscles had increased in size to the same extent, proportionally. The group that had taken the vitamins now had larger muscles. So did the group that had not. But there were subtle but significant differences in their strength gains. Over all, the volunteers who had taken the antioxidants had not added as much strength as the control group. Their muscles were punier, although they had grown in size. Get Moving and Improve Cognitive Function? Everyone knows that exercise makes you feel more mentally alert at any age. But do you need to follow a specific training program to improve your cognitive function? Science has shown that the important thing is to just get moving. It's that simple. 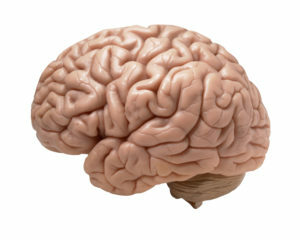 The study compared the effects of different training methods on the cognitive functions of people aged 62 to 84 years. Two groups were assigned a high-intensity aerobic and strength-training program, whereas the third group performed tasks that targeted gross motor activities (coordination, balance, ball games, locomotive tasks, and flexibility). While the aerobics and strength-training were the only exercises that led to physical fitness improvements after 10 weeks (in terms of body composition, VO2 max, and maximum strength), all three groups showed equivalent improvement in cognitive performance. The subjects in the third group performed activities that can easily be done at home, which is excellent news for sedentary people who can't see themselves suddenly going to a gym to work out. To improve your cognitive health, you can simply start by doing any activity you like. "Our study targeted executive functions, or the functions that allow us to continue reacting effectively to a changing environment. We use these functions to plan, organize, develop strategies, pay attention to and remember details, and manage time and space," explained Dr. Louis Bherer, PhD. "For a long time, it was believed that only aerobic exercise could improve executive functions. More recently, science has shown that strength-training also leads to positive results. Our new findings suggest that structured activities that aim to improve gross motor skills can also improve executive functions, which decline as we age. I would like seniors to remember that they have the power to improve their physical and cognitive health at any age and that they have many avenues to reach this goal," concluded Dr. Nicolas Berryman, PhD. Moderate to vigorous aerobic exercise in the morning may reduce symptoms of attention-deficit/hyperactivity disorder (ADHD) in young children at risk for the illness, new research suggests. A randomized study of 202 kindergarteners, 1st graders, and 2nd graders showed that those who completed 12 weeks of before-school physical activity had significantly higher reductions in inattention and moodiness than those who completed a sedentary classroom-based intervention.In addition, the subgroup of children with elevated ADHD symptoms who went through the before-school exercise program showed reduced impairment associated with ADHD risk in both their school and home settings. "We need more studies to replicate the results, but I think the take-home message is that aerobic exercise is a health-producing activity ― and there are really no negative side effects from it," added Dr. Hoza. Past research has shown some positive effects from exercise on patients with ADHD, providing evidence that it may be "a viable strategy for improving symptoms, behavior, achievement, inhibitory control, and neurocognitive function in youth with elevated ADHD symptoms," write the investigators. In the current study, the researchers enrolled 94 children at risk for ADHD and 108 children deemed "typically developing" to act as their control group....The physical activity involved continuous movement requiring children to breathe hard and included a variety of age-appropriate activities and games. "Although our findings indicated that all participants showed improvements, children with ADHD risk receiving exercise benefited across a broader range of outcomes than those receiving the sedentary activities," said coinvestigator Alan Smith, PhD, chair of the Department of Kinesiology at Michigan State University in East Lansing, in a release. Secret to a Healthy Long Life is Exercise? No one would mistake Olga Kotelko for one of the Olympians competing in Sochi, Russia, but at age 94, she holds more world records than most: 26, to be exact, including age-group bests in the high jump, the hammer throw and the 200-meter run. Not bad for someone who took up track and field at age 77. The result is this jolly book, which follows the pair as they consult researchers in fields like gerontology, exercise physiology and genetics for insights into Ms. Kotelko’s remarkable youthfulness. What they find are countless opinions, but little definitive proof. Genes, diet, temperament, the theories abound. (Mr. Grierson rules out performance-enhancing drugs.) Or maybe it’s the exercise itself. Research on twins suggests that heredity accounts for only about 25 percent to 30 percent of longevity, so it is not enough simply to label Ms. Kotelko a “genetic freak.” Besides, tests show she lacks at least one gene associated with longevity, and it turns out that her telomeres, chromosome caps that shorten with age, are merely average in length. As for her diet, it is abundant and promiscuous. Her staples include red meat, sauerkraut, cottage cheese and sour milk, and she eats “immoderate amounts” of tapioca pudding. A centenarian friend of hers, the Australian shot-putter Ruth Frith, eschews vegetables altogether. Among the potential anti-aging elixirs Mr. Grierson explores, exercise appears most potent. This old standby doesn’t just keep hearts pumping and muscles strong; studies suggest it may protect the mind too, by promoting the formation of neurons in the hippocampus — a part of the brain associated with memory. Since she began her track and field career, Ms. Kotelko has rarely remained still, and that active lifestyle may be more important than her workouts at the track. Moderate aerobic exercise helps to preserve the structure and function of nerve cells in the retina after damage, according to an animal study appearing February 12 in The Journal of Neuroscience. The findings suggest exercise may be able to slow the progression of retinal degenerative diseases.